Update: I'm grateful for all your help... here's the piece I wrote collecting your advice. Pretty much everything ever written about the job search focuses on how to get the job: how to tweak your résumé or LinkedIn profile, or how to answer tough interview questions. But very little is written about how to know if you're pursuing a job you might not want. So I need your help this week: would you share with me your examples of signs that you shouldn't take a job? I'm looking for things that you have noticed in job descriptions...Skype screenings...phone interviews...compensation/bonus plans...web searches...conversations with former employees...or workplace visits that suggest that maybe you don't actually want this gig. These could be signs that you heeded — or didn't, but wish you had. They could be serious or a silly. Recent or not so recent. 1. Click my name in the right-hand column, where it says "About the blogger," and send me an e-mail. 2. 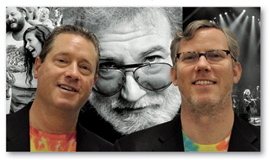 Send me a tweet or direct message to @ScottKirsner. 3. Post a comment below. Earlier this month, Cory von Wallenstein, the chief technology officer at Dyn, was showing me around the start-up's offices in an old mill building in Manchester, New Hampshire. 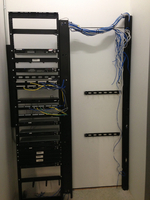 The company offers DNS and e-mail management services that help customers like Twitter, CNBC, and TripAdvisor keep their websites and customer communications running smoothly. Dyn has a swanky, two-floor space with an indoor climbing wall, putting green, mock movie posters commemorating team achievements, and a Skee Ball machine. 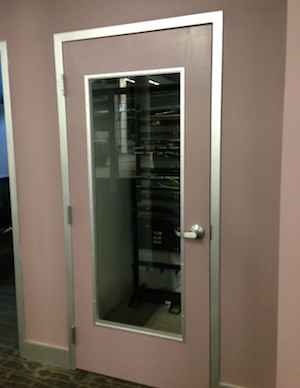 So I was a little surprised when von Wallenstein stopped at a nondescript server closet and ushered me inside. 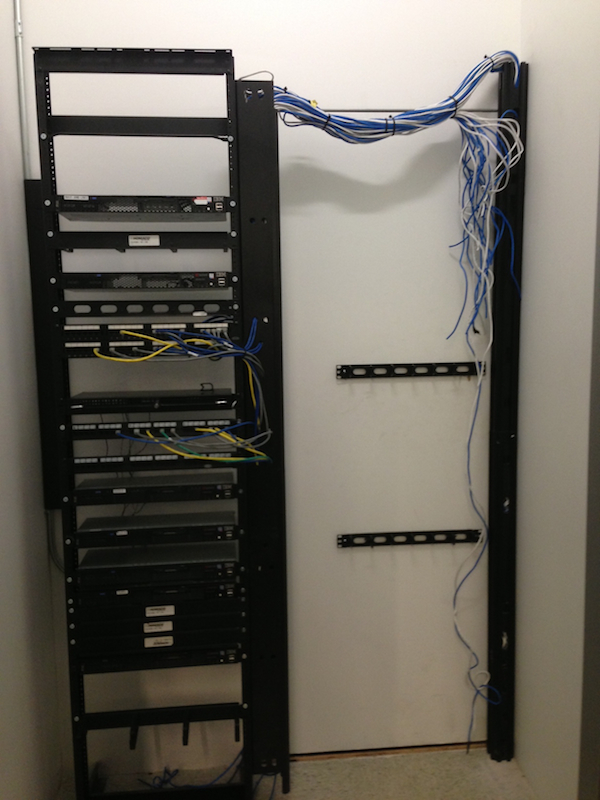 "Your typical, normal-looking server rack, right?" he said. Absolutely. But then von Wallenstein touched a button somewhere on the face of one of the servers, and a hidden door opened up. Within a few steps, we were inside what seemed like a North Country hunting lodge, and the door swung shut behind us. As it closed, on the back side of it was a rack full of whiskey bottles. It was just about lunchtime on a Thursday, so I figured, why not? Von Wallenstein put together a nice tumbler of Lagavulin, with a single ice cube floating in the center. We had a seat in some comfy leather chairs. Von Wallenstein talks about Dyn's culture as "quirky" and "enigmatic," and the windowless, log cabin-like space is certainly that. But he adds that "stuff like this doesn't create a good culture. You need a good culture to allow stuff like this to happen." Earlier this year, Dyn's management team asked the contractor who was expanding their 60,000 square foot headquarters to set up a secret retreat. This is what he came up with. 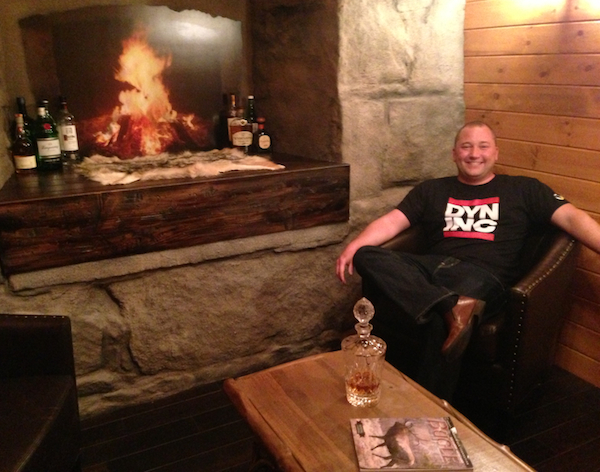 There's a faux fireplace, and game on the walls. Von Wallenstein says it's a great place to bring prospective hires, negotiate with vendors, brainstorm, or simply unwind at the end of the day. 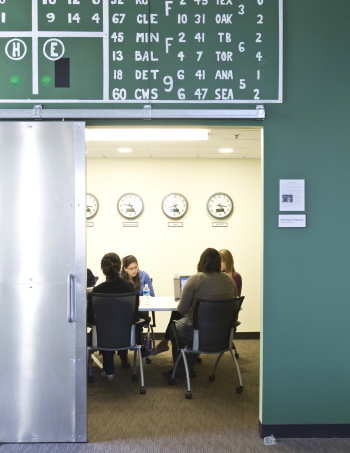 Unlike the company’s other conference rooms, it can’t be reserved by employees online. Last October, Dyn raised $38 million in a first round of outside funding. More recently, it has attracted executives from Verisign, VSnap, F5 Networks, Sonian, and Constant Contact. Yesterday I was in Austin to give a talk to a group of science and technology educators from two-year colleges around the country. As part of the talk, I put together a set of videos to illustrate 10 emerging sectors that I think will create a lot of high-growth companies — and jobs — over the next 10 years. Here's my list of promising areas, which obviously isn't intended to be comprehensive. I made a few tweaks here (it's slightly different from the talk I gave on Tuesday), to highlight companies with Boston ties. 1. Wearable (and eventually implantable) computing. Google Glass has been getting all the hype lately, but there are lots of other companies thinking about new kinds of displays and devices that we might wear, rather than carry. One startup, Melon (formerly known as Axio), participated in Highland Capital Partner's Summer@Highland program, and briefly worked out of IDEO's Cambridge office, too. Now based in Los Angeles, the startup raised almost $300,000 on Kickstarter this year. 2. Synthetic biology. Boston-area companies like Sample6 and Joule are designing bespoke bacteria to do difficult jobs like detecting pathogens in food processing plants, or cranking out ethanol for cars. (This is a field I've been following since 2005, when I wrote about the collegiate Synthetic Biology Competition.) Here's a video about Joule's fuel production facility in New Mexico. 3. Indoor navigation and messaging. Ever have that experience of walking into a big box store and spending a half-hour looking for the item you need? What if your mobile device could lead you straight to it — and perhaps also ping you with special offers or detailed product info about other items of interest? A Boston University spin-out called ByteLight is working on a kind of GPS that can guide you around large indoor spaces, and they have a pilot test already installed at the Museum of Science. Hoping that I can take next week off for a much-needed blogging vacation. Since I brought this blog to Boston.com, exactly four years ago, I've written more than 1,000 posts. (With very few breaks.) I'm heading to Europe for some R&R... but also can't resist visiting a few spots that could supply material for future blog posts. I should also let you know that the team at Boston.com's The Hive, under Michael Morisy, have been ramping up their coverage of the local innovation scene. 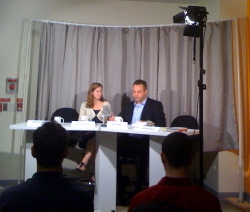 You can follow them on Twitter: @HiveBoston. 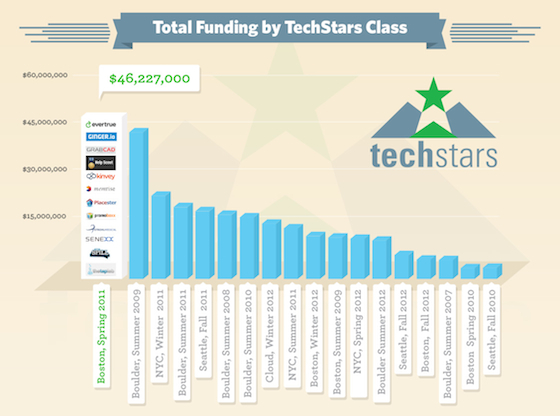 With Boston-based EverTrue raising $5.25 million today, the 2011 class of the TechStars Boston accelerator program has now attracted more funding than any other class. Still a close second is the 2009 Boulder class, and in third place is New York City's winter 2011 class. "Obviously, dollars raised isn't a great indicator of success. We need to work towards dollars returned to investors," says EverTrue founder Brent Grinna, right. His company helps schools stay in touch with alumni — and ideally, collect more donations from them. 2011 was the year, incidentally, that Katie Rae and Reed Sturtevant took over stewardship of TechStars Boston, which is actually based in Kendall Square. 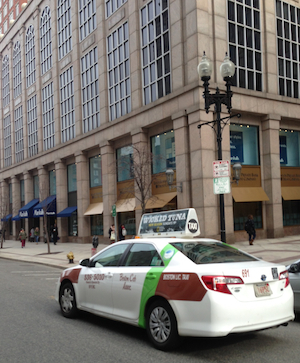 Just two weeks before one of Boston's biggest cab companies, Boston Cab Dispatch, filed a lawsuit against upstart Uber, it updated its own iPhone and Android apps for summoning a lift using your smartphone. I used Boston Cab's app three times. When I first tried to use the app, to get picked up in Beacon Hill, I entered only the pickup address and not the destination. After waiting on a corner for 10 minutes, I clicked a button in the app to call Boston Cab's dispatch center. While they had seen my request, they hadn't sent a cab because I hadn't punched in my destination. (Uber's app only requires a pick-up address.) I told the dispatcher not to bother sending a taxi, and hopped on the T instead. But twice yesterday, the Boston Cab app made a taxi materialize in about ten minutes: once at my home in Brookline, and once in Back Bay. Here's my take on the pros and cons of Boston Cab's app, compared to using the Uber app to request a taxi. It's $1 cheaper than Uber. Uber also mandates a 20 percent gratuity, regardless of the service you receive. After trying to guess where you're at using your phone's built-in GPS, Boston Cab's app lets you adjust the pick-up address if it isn't correct. I frequently have trouble doing this with Uber's app. Boston Cab has a feature called "My Bookings" that lets you view all your trips from the past month, including the amount you spent, time, pick-up point, and destination. You can also click a button to rebook that same trip again. You can book a trip in advance, such as an early morning airport trip for tomorrow. (I didn't test out this feature.) Uber only supports what you might call "ASAP" requests. Unlike Uber's app, Boston Cab's doesn't instantly give you information about how long it will take a cab to reach you. (Uber isn't always correct, but at least it gives you a ballpark sense.) You don't see any cab icons on the map until Boston Cab's dispatch center assigns one to pick you up. And even then, you don't get an estimate of how long it will be until the cab arrives. The app also didn't regularly update my cab's location on the map, as Uber's does, to give me a sense of when it was time to pop outside and look for it. Boston Cab's app doesn't store your credit card information, so at the end of the ride, you'll still have to hand over cash, or go through the credit card payment process using the taxi's terminal. With Uber, you can just say "thanks" and dash. The app automatically bills your stored credit card at the ride's conclusion. Boston Cab doesn't automatically invite you give your driver a star rating or feedback after each ride. I was pleasantly surprised by Boston Cab's app, but I'm going back to using Uber. I like having a clear sense how long it will take the cab to arrive; not having to enter my destination; and being able to pay auto-magically. If you've used either app, or another app like Hailo, what do you like or dislike about them? • Custom jewelry maker Gemvara was featured last Sunday on Oprah Winfrey's "Favorite Things 2012" cable special; Winfrey picked a pair of "naked cushion triple earrings" that range in price from $1109 to $1688, depending on what gemstone the buyer wants. Gemvara founder Matt Lauzon explains that it wasn't a paid placement, exactly: "One of Oprah's people spotted Gemvara and the earrings at a party our PR team hosted, and brought them to Oprah." Winfrey wore the earrings on the show, and gave a pair to everyone in the audience. "That piece was very cool, because they were all spouses of members of the military," Lauzon says. • Boston-based Kickscout released a new version of its mobile app earlier this month. It lets you snap pictures of products you might want to buy in a store — say, a group gift for grandma — and share them with others to get feedback. If your bigger concern is making sure you get what you want, you can also use Kickscout to keep a visual "wish list" of gifts you'd like to receive. • FashionPlaytes, a Beverly startup, just introduced a holiday line of apparel and accessories for tween girls, above. All the items can be customized. • A great destination for unique gifts is Lexington-based Daily Grommet. Paper robot kits designed by former Nintendo engineers? Ceramic bowls that look like cantaloupes and grapefruits? A hand-dyed silk scarf whose purchase helps support women's initiatives in India? This well-curated site is full of stuff you won't find at the mall. • Likelii founder Radhika Dutt describes her Cambridge startup pretty simply: it does for wine what Pandora does for music, suggesting brands you may like based on what you already know you enjoy. The company raised $450,000 earlier this year, and Dutt says that Likelii will soon offer a mobile app, in addition to its website. Likelii offers free shipping when you order more than $100 worth of wine... and who doesn't need $100 worth of wine to get through the holidays? • Earlier this month, I wrote about the two cable TV ads that Back Bay merchant Wayfair is running this holiday season. One was made by an edgy San Francisco ad agency, the other by a pair of Wayfair employees who are responsible for shooting all the company's in-house video. In my online vote, more than 80 percent of you said you preferred the one shot by the employees. • Yes, this might be the final holiday season that Massachusetts residents can shop tax-free on Amazon.com. The silver lining: Amazon continues to add jobs at its Cambridge research-and-development outpost, and a Woburn division devoted to warehouse technology (Kiva Systems, which Amazon acquired back in March.) I counted eighteen open positions at those two locations. • For gadget hounds who like to be the first on their block to get something new, there's the Equiso smart TV system. For $79, it turns your regular TV into a smart TV capable of viewing web video from sites like Hulu or Netflix; playing games like DrawSomething; updating your Facebook status; or bidding on an eBay auction. (Equiso requires that you have a WiFi network at home and a TV that has a USB port.) The Equiso package comes with a nifty remote control with a few simple buttons on the front, and a full QWERTY keyboard on the back. The Cambridge startup raised $240,000 earlier this year on Kickstarter. The news wasn't good in the third quarter: only 260 net new jobs were created among the 152 companies he tracks. That's just a 1.9 percent increase over where things were at the start of the quarter. Growth was stronger in Q1 and Q2: 8 percent and 3.2 percent, respectively (see graph below). "This is not a sign of a healthy, growing sector, and it's a result of VC investing being soft in Boston," Barrett writes via e-mail. By contrast, job growth in New York was 3.2 percent in the third quarter, down from 5.6 percent in Q2. According to Barrett, more of Boston's new jobs are being created by public companies (roughly 75 percent) than is the case in New York (about 55 percent). Barrett's index includes only companies with 10 or more employees, and he follows more than twice as many companies in New York (320) as he does in Boston. New on that list for Q3 are Amazon, Rue La La, Karmaloop & Jumptap. Here's some bonus material from some of the people who contributed to the column... unedited e-mails chock full of advice about hiring really happens, from HR people and recruiters. Which Boston Internet and digital media companies added the most jobs in Q2? The executive recruiting firm Cook Associates has started to produce an interesting quarterly report on hiring at Boston-based Internet and digital media companies. And Cook Associates managing director John Barrett was nice enough to walk me through it this morning. Barrett uses LinkedIn to examine 137 Internet and digital media companies that have 10 or more employees in Boston, and see whether they are adding jobs, cutting jobs, or staying the same. (He doesn't include employees added at other offices, and he says he verifies numbers with some of the companies on the list — but not all.) In Q2, Barrett found that his cohort of 137 companies added 400 jobs. Fifty-nine percent increased their headcount, 31 percent decreased it, and 10 percent kept it stable. Barrett, who works out of Cook Associates' Burlington office, tells me that since he started tracking this data at the beginning of 2012, "we saw a very sharp slow-down in hiring in Boston at the end of April and early May, among early-stage companies. That was not happening in New York." What's going on? 1. What should candidates be doing with social media outlets like Twitter, Facebook, LinkedIn, and blogs to improve their chances of getting a job? 2. What shouldn't they be doing? I collected responses from companies like Communispace, Zipcar, Hill Holliday, Mullen, Vertex Pharmaceuticals, Millennium Pharmaceuticals, and Liberty Mutual. Some appear in Sunday's column, but here's some "bonus material," in unedited form. Everyone who works in the start-up realm — whether tech, biotech, cleantech, or other — tends to live in the future. All day long, they're working on products that will be launched and sold in a month or a year or a decade. So when the stock market soars or swoons, they tend to ignore it. "That's today's news. We're tomorrow's," the thinking goes, no matter how many points the Dow has lost. Of course, vertiginous plunges in the public markets do tend to impact young companies which must continually raise venture capital money, and which hope to one day go public themselves or be acquired by a bigger entity. They're bad news, as we saw in 2000 and 2008. Venture capitalists: "We are counter-cyclical investors." "Economic slumps are the best times to start a company." "We can invest less and own a bigger chunk." "We're a top-decile firm. We won't be hurt by a shake-out in the VC industry." Angel investors: "At least the VCs won't be falling all over themselves to invest in my companies and cram me down." Entrepreneurs: "We'll do better without so many me-too companies getting funded." "My entire net worth is wrapped up in this company. What do I care about the stock market?" "We're developing a product that will disrupt the established players. There are always customers for that." "I don't regret turning down that $100 million acquisition offer last week. The IPO window will open again." Employees: "It'll be nice not to be distracted by all of those calls from recruiters offering me jobs at other companies." "I never wanted to sell any of my shares on SecondMarket anyway." Investment bankers: "Without so many IPOs to manage, I'll get to spend more time at my place on Nantucket." Yesterday's Globe column set out to collect some of the toughest challenges, tests, and questions that interviewees face at job interviews around town. I received lots of examples that I couldn't fit into the column, many of which I thought were worth quoting in their entirety. So I'm posting them to the "Read Scott's E-mail" blog. - On Inc. magazine's list of the 5000 fastest-growing companies in the U.S., 184 are based in the Boston area. The two highest-ranking firms here are Carbonite, the online data back-up service (11,208 percent growth over the last three years), and Gazelle (7,120 percent growth over that period), which buys and then resells older consumer electronics. - Fierce Biotech serves up this list of the top 10 women in the biotech industry, including local lights Deborah Dunsire at Millennium, Daphne Zohar at Puretech and Katrine Bosley at Avila Therapeutics. - The Game Developers' Choice awards for best online games will be handed out for the first time this October. The nominees include two local companies: Waltham-based Blue Fang Games, for Zoo Kingdom, and Conduit Labs (recently acquired by Zynga), for Music Pets. - Four female founders were selected for this week's All Things Media bootcamp in New York, organized by Springboard Enterprises. They are Karen Miller from DoInk.com, Beth Marcus from Playsmart, Monika Desai of Open Runway, and Bettina Hein of Pixability. Twenty-one women founders in total will participate; the program offers founders advice, publicity, and the chance for investment. - Analog Devices founder Ray Stata and Analogic founder Bernard Gordon are among the honorees on the 15th annual Mass High Tech All-Stars list, as is out-going MITX president Kiki Mills. - Finally, lighting start-up Digital Lumens and NH-based biotech Adimab are two of the New England companies on the World Economic Forum's roster of 2011 Technology Pioneers. When I needed wheels for a quick trip to Plymouth yesterday, I didn't reserve at the nearest Avis location or grab a Zipcar from one of their designated spots. Instead, I popped the locks on a neighbor's car when he wasn't around and took off. It was cheaper than the other two options. While it sounds absolutely illicit, borrowing a neighbor's car when it isn't being used is the concept behind RelayRides, a Cambridge start-up company that I wrote about earlier this year. Instead of leasing a fleet of vehicles like Zipcar, RelayRides finds people who have underutilized cars and wouldn't mind earning a little money with them. Car owners pocket some of the hourly rental fee paid by RelayRides members, with the company taking a percentage for facilitating the transaction and insuring the drivers; RelayRides also installs the necessary technology in each car. The company has been running a pilot test this summer in Cambridge and Somerville, with a few dozen vehicles. I signed up for a membership in late June, and received $25 worth of free rental credit for doing so. A few days later, a membership card arrived in the mail. Embedded inside was an RFID chip that would give me access to the RelayRides fleet. After deciding against renting a car that was described in member reviews as exuding a distinct eau du pooch, I booked a neighbor's 2003 Toyota Matrix from 10:45 AM to 3:00 PM. (RelayRides offers pet-friendly and pet-free vehicles. The Matrix displayed the pet-free icon.) The car's hourly rate, including gas and insurance, was $7.00. Here's my take on the pros and cons of the experience. The biggest advantage to RelayRides is cost. My rental totaled $35.33; the use of a newer Toyota Matrix a bit closer to my home with Zipcar would've cost $49.14 (Zipcar's rate for that vehicle is $9.25 an hour, though Zipcar offers discounted rates to members who commit to spending at least $50 a month with the service). 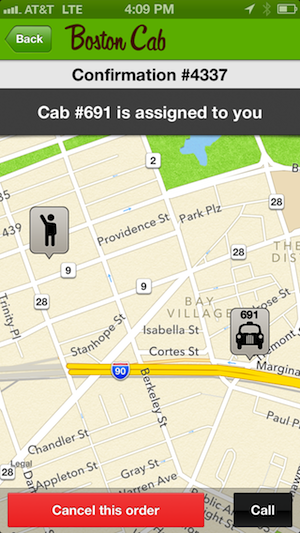 RelayRides also lets you reserve cars in 15-minute increments, while Zipcar limits you to half-hour chunks. With Zipcar, that policy would've forced me to pay for fifteen minutes that I didn't need. I found the car easily, even though it wasn't in a marked spot, and I waved my membership card over a sensor on the windshield. The locks popped open. Inside, I found a key to the ignition, and a note from the owner informing me that I was their first renter. "We're really excited to be part of this new venture," the owner wrote. He also apologized that the driver's side window didn't work (there was a Band-Aid over the button that would've opened it), and said he'd made an effort to get it repaired. Clipped to the note was a $4 "rebate" for my rental (in folded bills), which I decided not to take. On the passenger's seat was a tote bag full of maps. In the tape deck was an adapter that enabled me to plug in my iPhone so I could listen to my own tunes. There was just over one-third of a tank of gas in the car. Though the carpets hadn't been vacuumed recently, the interior was relatively clean. Unlike Zipcar, RelayRides features a small white digital display and keypad mounted at the top of the windshield, just to the left of the rear-view mirror. It shows you the current time, the miles you've driven, and the start and end times for your reservation. I liked being able to see the "official" RelayRides time, and to be reminded of the time my reservation ended, since RelayRides charges you $50 if you return the car late. (Zipcar has an identical penalty.) Stashed in a slot just behind the display is a credit card that enables you to fill the car up with gas if necessary. While most Zipcar vehicles have decals all over them that make it clear you're not driving your own vehicle, RelayRides is a bit subtler with its branding. There was a small sticker on the back, and a small one on the front windshield where the RFID sensor is (pictured above). I've been a Zipcar member for about three years, and while the rental rates are higher than RelayRides, I'll continue using Zipcar for two reasons: convenience and confidence. The cars are closer to where I live (and also convenient to use when I travel to other big cities where Zipcar has a presence), and I'm confident that they'll be well-maintained and relatively new. But if RelayRides starts adding cars closer to me — and especially if they add vehicles that Zipcar doesn't offer — I'll likely start using it more frequently. I called RelayRides founder Shelby Clark after my rental yesterday to check some facts about the service, and he mentioned that a sporty Audi S4 may soon be entering the fleet; they've also occasionally offered access to a Porsche Cayenne. Some minivans or big SUVs would be handy, too, for when you're planning a group outing. Clark said the service will officially launch on September 1st; the company is also looking for "community organizers" who will help RelayRides expand to towns outside of Cambridge (but within a 50-mile radius of Boston.) 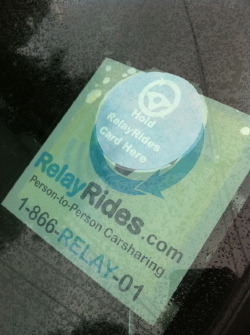 RelayRides is still offering $25 in driving credit to new members. Zynga, the San Francisco purveyor of addictive online games like FarmVille and Mafia Wars, is buying Conduit Labs, a game developer in Cambridge founded by Nabeel Hyatt, and funded by local venture capital firms Prism VentureWorks and Charles River Ventures. The purchase price isn't being disclosed, but one source close to the company tells me it is an all-stock transaction, so Conduit's founders and investors will now be hoping that Zynga turns into a huge success; news reports earlier this year pegged Zynga's valuation at $5 billion. Hyatt and Zynga executives weren't available for comment this morning, but in the press release, Zynga senior vice president Mike Verdu is quoted saying, "Boston is an epicenter for technology and has a strong talent market, making it an ideal location for us to expand operations." Zynga claims to have 215 million active monthly users. Conduit, founded in 2007 to develop music-oriented games for the Web, never quite achieved critical mass. Its first game, Loudcrowd, was released last spring. Zynga seems to be acquiring the company less for that property or its user base, but more for the development team and its game industry expertise. (Conduit never revealed how many people played Loudcrowd...though Governor Deval Patrick gave it a spin last year). 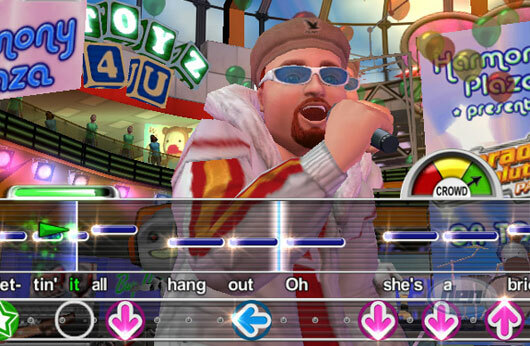 Conduit discontinued Loudcrowd last month, and following the Zynga acquisition will kill the two Facebook games it developed, Music Pets and Super Dance, according to a blog post by Hyatt today. "Despite the countless hours we’ve spent working on them, and last month being our best revenue yet, we failed to make these products commercially successful enough," he wrote. "We had to make the decision to focus on what was working, and we think once you see what we’ve got next, you’ll agree it was the right choice. The $3 million round, I'm told, was intended to help the company transition its strategy from building a stand-alone, Flash-based Web destination to gearing its games to the Facebook audience. In the midst of that transition, Conduit's board hired the Boston investment bank America's Growth Capital to look for prospective buyers. The thinking was that it was becoming hard to sustain a stand-alone games developer — especially one that hadn't yet cranked out a hit game or figured out, like Zynga and Playdom had, how to attract millions of users through Facebook. (ACG's Jon Guido handled the transaction.) The bankers talked to companies like CBS, Sony, Activision, and Playdom (which itself was acquired by Disney last month.) But Zynga was the most interested party. Conduit's founder and investors aren't yet crowing about their winnings from the acquisition, but instead will now be rooting for Zynga — rumored to be wildly profitable — to go public in a year or two. Zynga CEO Mark Pincus "doesn't want a double or a triple," said one source close to today's deal. "He's looking for a home run or a grand slam." Occasionally, I guess, the rumors are right. I was not an early user of Twitter, but I've come to really enjoy it. - Stories that can fit into 140 characters, as soon as I find out about them. 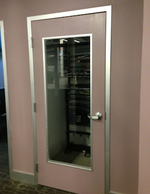 (Yesterday: Atlas Venture moving its Massachusetts office from Waltham to Cambridge. 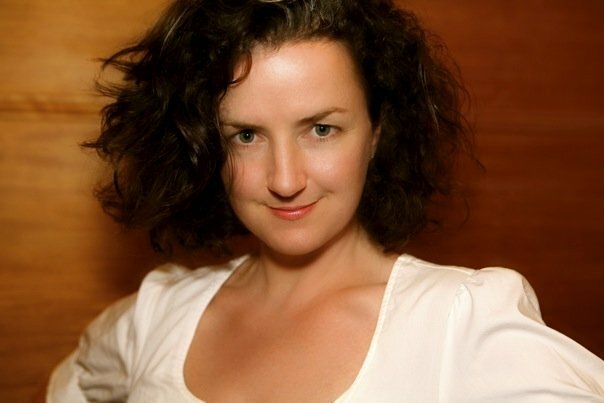 A few months back: EqualLogic co-founder Paula Long peeling off from the company. Often: new start-ups I've just heard about.) Many of these tweets don't eventually turn into columns or blog posts — simply because everything worth saying can be said in a tweet. - Events in the Boston area (and beyond) that you may want to know about. - Links to great stories (in the Globe and elsewhere) with relevance to those working in New England's Innovation Economy. - Photos from conferences, parties, and my daily meanderings. - People in the New England Innovation Economy who are new to Twitter, and worth following. - Quotes and notes from local conferences and events. Soon, I'm going to try using Ustream to do occasional live video broadcasts from my phone. I'll send out tweets to give you a heads-up when I'm going live. Your feedback is welcome...as I am always trying to become a better tweeter. The Wilcoxes of Natick embarked earlier this month on a pretty lengthy summer vacation: it began in Athens, and it wraps up next July in Kenya. Before embarking on his next entrepreneurial adventure, Wilcox decided to plan an extended trip with his family: they rented out their house for a year, sold their cars, and devised a curriculum for their son and daughter, who would be missing 4th and 7th grade. They also set up a blog, 365 Saturdays, to chronicle the journey (with the kids handling much of the writing.) "We are trying to use the blog as a way for them to practice writing something other than IMs," Wilcox writes in an e-mail. The itinerary includes London, Paris, Vienna, Egypt, Australia, Thailand, China, Argentina, the Galapagos, and Botswana. Wilcox is staying fairly well-wired on the trip: an e-mail to him this morning yielded a quick return phone call via Skype. Where was he? Cappadocia, Turkey. Boston is #1...But will we hold on to the top spot? Earlier this month, I tweeted about a report issued by the Australian innovation consulting firm 2thinknow. They'd created a list of the world's 75 most innovative cities, and Boston topped it. That tweet took off like wildfire — who doesn't like to be ranked #1, after all? It has continued to be re-tweeted over the course of a few weeks, with some people questioning the study's methodology, and others noting that it was almost a year old (I hadn't seen the report before, but on further inspection, the results were issued in July 2009). So I connected last week with Christopher Hire, the executive director of innovation at Melbourne-based 2thinknow, to talk about the firm's rankings. "Our index tends to reward well-rounded cities," Hire said, mentioning things like transportation infrastructure, cultural assets, and educational institutions. The index also considers how easy it is to bike or walk around the city, because, Hire explains, "that's part of the network economics idea, that connections are made every day. Boston is a place where you can have serendipitous connections, unlike U.S. cities where you can't get out of your car." The firm tries to look at independent design shops, art galleries, film and video production, and locally-owned fashion boutiques as a measure of creativity. Interestingly, Hire says they don't look at the number of patents granted in each city: "Patents are kind of over-rated as a measure of innovation," he says. One of the most surprising data points they consider? The number of Starbucks and independent coffee shops in a city, which serve as important meeting places for entrepreneurs and artistic types. "We give higher preference to cities with a wide range of coffee shops, not just the chains," Hire says. The 2010 Innovation Cities report comes out in early August. While Hire says that "my view on Boston is that it's fundamentally anchored near the top [of the list], because of the prevalence of MIT and Harvard and the whole infrastructure," he wouldn't tip his hand as to how the city will rank this year. There is, of course, the natural inclination to shake up the top few spots on any list so it doesn't seem stale. Hire says they may also include some new indicators, like the availability of electric car charging stations. And, he adds, "We're moving a little bit away from arts and culture, and increasing the sports indicators, looking at things like sports stadiums and sports fanaticism," Hire says. I've updated the "up and down" listings for July (see the box in the upper right corner, with those big arrows), and added three new events happening this month to the calendar (in the middle of that column on the right). And so I'm planning to take a break from blogging next week...but I may feel compelled to tweet every once in a while. I'll be back fully refreshed on July 12th. On Fridays, I regularly post a list of five things worth knowing about, and invite you to add others in the comments. This week, it's New England start-ups working on new ideas in the financial services space. - Cambridge-based Blueleaf wants to encourage you to collect all your banking and investment info in one place, and then collaborate with friends, family, or financial advisors to improve your returns. - Currensee. A social network built especially for foreign exchange traders. It allows participants to discuss strategies and compare performance. Boston-based Currensee has raised $12 million in venture capital so far, from firms like North Bridge and Egan Managed Capital. - Taking a page from the ING Direct playbook, PerkStreet is a bank without branches or toaster giveaways. Targets consumers who are happy to bank online, ask questions via e-mail, or call up a live person by phone. By keeping costs low, Boston-based PerkStreet can offer rewards for using your debit card that include free Dunkin' coffee, iTunes downloads, or Amazon.com credit. - Swipely encourages users to share information with friends (or the Web at large) about purchases they've made, and to rate or comment on the things they've bought. Launched a beta last month, and announced $7.5 million in funding. Based in Providence, RI. - Trefis is building a community of amateur equities analysts, who use the site to share their scenarios for how a particular stock will perform. Nifty visual tools for estimating how good or bad performance in a given line of business will affect the share price. Sure, I can quibble with the methodology — Are most successful companies founded by people who've been successful in the past? And raised the most capital? — but the Wall Street Journal has released an interesting list this week of the fifty "most promising" private companies, compiled in collaboration with Dow Jones and VentureSource. Just three Massachusetts companies made the cut: battery-maker Boston-Power; datacenter management company Akorri Networks; and biotech Acceleron Pharma. (Notably missing from the list is Brightcove, the Internet video management start-up that has a CEO who sold his last company to Macromedia, and who has raised about $90 million. Perhaps that's because the list tilts towards companies that raised lots of funding in the past three years...) No other New England states managed to land a company on the list. The Journal also presents this nifty chart of the companies, which you can sort based on the amount they've raised, the track record of their investors, etc. Technology Review publishes its annual list of the world's most innovative companies in its March/April issue. Boston-area companies make a decent showing on the MIT mag's list, but what's interesting to me is that we make more of a dent in the energy, e-health, and life sciences arenas than tech. In e-health, there's Watertown-based Athenahealth (publicly-traded). In energy, there's A123 Systems (publicly-traded, and based on MIT science), 1366 Technologies (venture-backed, based on MIT science), and Joule Biotechnologies (venture-backed, co-founded by MIT alum David Berry.) In life sciences, there's BIND Biosciences, one of many companies spawned by the MIT lab of Bob Langer, and Fate Therapeutics, whose founders hail from the Whitehead Institute and Childrens Hospital Boston. What do you think? Is this much Boston innovation driven by MIT, or is there a smidge of home team bias here? 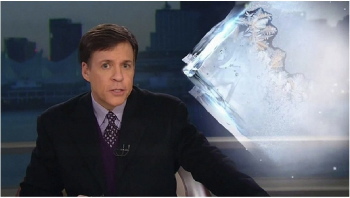 Seen those ice crystals decorating the screen on NBC's broadcasts from the winter Olympics in Vancouver? Yep: they were shot on the inside of a storm window in Arlington, Mass. Doc Searls, a research fellow at Harvard's Berkman Center for Internet and Society, shot them last February and uploaded them to the photo-sharing site Flickr. 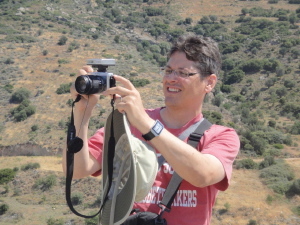 He used a Creative Commons licensing label (initially developed at the Berkman Center) to let people know that the photos could be freely re-used, as long as he was given credit as the creator. Last November, NBC got in touch to ask permission to use the ice crystals as part of the graphics the network was developing for its Olympics broadcasts. They offered to give Searls on-screen credit as part of the design team, and he said OK.
"From what I can tell, after a week of viewing the Olympics on NBC, those ice crystal images are shown with a frequency second only [to] NBC's own logo and the five-ring Olympic symbol," Searls writes via e-mail. "The ice crystal shots float behind talking heads, floating titles and running scores." He blogged about the photos here, noting that his landlady has since replaced the old storm windows with more efficient thermal ones — meaning those pretty ice crystals are a thing of the past. A decade ago this month, at what was pretty much the apogee of the dot-com frenzy, I started writing a weekly column for The Globe called @large. Since then, I've been a steady contributor to the paper and Boston.com — though my column went monthly during the two-and-a-half years I was living in San Francisco. ...Office space - not server space - is chief among the concerns of Boston's Internet CEOs, whose companies are growing at rates that often surpass 100 percent a month. An address in Kendall Square in Cambridge carries plenty of prestige, but the commercial vacancy rate in the People's Republic is 0.8 percent, says Realtor Joe Flaherty of Meredith & Grew. "There's essentially absolutely no space available in Kendall Square," he says. The Watertown project was The Arsenal on the Charles. Many of the tenants I wrote about in 2000 are, unsurprisingly, no longer with us. HighWired.com, an online publishing platform for high schools, raised $30 million the following month but went out of business anyway. ThingWorld, a CMGI-funded company that aimed to help media companies manage their copyrighted characters as they spread across the Web, is also gone. The complex's vaguely-Caribbean Naked Fish restaurant has since been replaced by the authentically Venezuelan La Casa de Pedro, and there's a Panera Bread, too. In 2001, Harvard bought the complex. But over the past decade, The Arsenal on the Charles has remained a pretty popular place for medium and big tech companies to be, if they require too much square footage to be in downtown Boston or Kendall Square but don't want to head out to the 128 ring. Suzanne Alter, the complex's general manager, told me that the occupancy rate is about 98 percent. 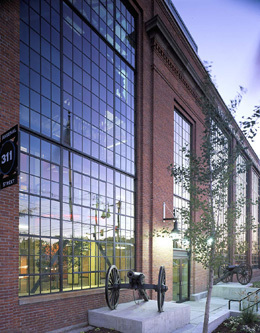 Two of the Arsenal's biggest current tenants are publicly-traded, home-grown Massachusetts companies: battery-maker A123 Systems and Athenahealth, which provides digital record keeping services to physicians. Athenahealth, the biggest tenant, has 580 employees in Watertown. Childcare provider Bright Horizons Family Solutions, once publicly-traded but now private, is also headquartered at the Arsenal. The rest of the current tenant list is an interesting slice of the innovation economy in Boston: mobile software companies like Enterprise Mobile and Mobile Messenger, CAD and imaging software firms, various healthcare IT companies, doctors offices, ad agencies, a couple animation and entertainment production companies, and consulting firms like Innosight (fo-founded by Harvard Business School professor Clay Christensen) and Molecular (one of the original tenants from 2000, when it was still called TVisions). If you've ever paid a visit to one of the tenants at the Arsenal, you've undoubtedly noticed that parking spots are in short supply, even though there's a large parking garage on the premises. It's one of the few places I visit regularly where they've got valet parkers — free —waiting to take your keys when parking is tight. Two interesting lists released this week: Fast Company ranks the world's most innovative companies, and TheFunded ranks the venture capitalists entrepreneurs like working with best. Facebook, Amazon, and Apple top the Fast Company list, but further down at #23 is Cambridge-based PatientsLikeMe, an information-sharing community for people suffering from various diseases and conditions. MITRE Corp., the government-funded R&D shop co-headquartered in Bedford and Virginia, checks in at #30, and Athenahealth shows up at #43. Watertown-based Athenahealth, the only publicly-traded firm of the trio, sells digital services to help docs manage their practices. Several Boston-based investors show up on the best-liked venture capitalists list (and wouldn't you rather see the list of most-reviled VCs?) 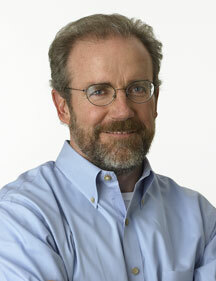 Terry McGuire of Polaris Venture Partners, who invests primarily in life sciences start-ups, is #1; McGuire, pictured above, is also currently chair of the National Venture Capital Association. Rich Levandov, a Boston-based partner at the San Diego firm Avalon Ventures, is #14 (Levandov is also still technically a partner at Masthead, a Cambridge firm that hasn't raised a new fund in a while). Also in the top 25 are Tom Bogan of Greylock Partners, Maria Cirino of .406 Ventures, and Michael Fitzgerald of Commonwealth Capital Ventures. Cirino is the only woman who appears on the list. TheFunded is a site that invites entrepreneurs to rate venture capitalists and share their experiences working with them — all anonymously. 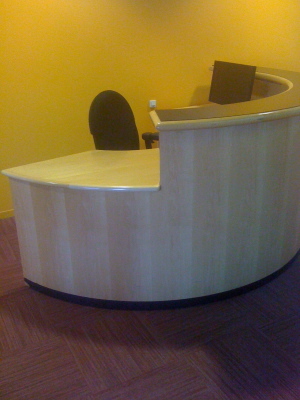 Where have all the receptionists gone? Every week, I visit almost as many offices as a hard-working Dunder-Mifflin paper salesman, all across eastern Massachusetts. Increasingly, I've been noticing that the receptionist's desk is empty. 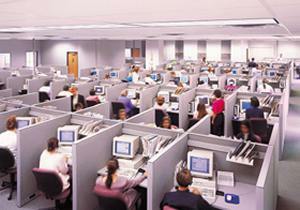 Are receptionists a casualty of the recession? Are start-ups trying to prove they're being frugal with their investors' money? Both? Today I was in Waltham, visiting a start-up that has raised about $40 million in venture capital funding. 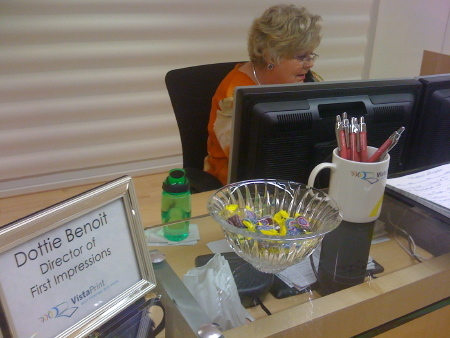 This is a picture of their receptionist's desk — it has everything but the receptionist. As a visitor, you're expected to breeze past it, find someone sitting in the nearest office, and ask them for directions to the person you're there to see. Often, the people who work in offices or cubicles closest to the door try to avoid eye contact when you enter; they don't like acting as the de facto receptionists, resenting the continual interruption of their work. Sometimes there's just a phone sitting on the receptionist's desk, with instructions about how to call the person you're looking for. I wonder how long it will take before the vestigial receptionist's desk disappears from the layout of most offices — or perhaps it'll remain as a symbol of corporate parsimoniousness? On January 1st, 2004, Steve Garfield created one of the world's first videoblogs at his Jamaica Plain home. The first video he posted? 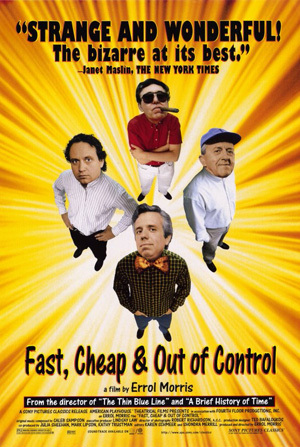 A short Quicktime clip declaring 2004 "the year of the video blog." Since then, Garfield has been one of the pioneers and proponents of what might be called "citizen-vérité" video for the Web: slice-of-life vignettes, talk-to-the-camera reportage, and live video streaming from conferences, without the typical "big media" sheen. Garfield established a reputation as someone willing to help others figure out the right camera, software and services to start videoblogging on their own (usually doing it for free, sometimes as a paid consultant to companies.) Garfield became the Boston correspondent for the satirical daily news show "Rocketboom," and started making videos for Boston city councilor John Tobin, whom he dubbed "the first US elected official to vlog." ("Vlog" being the short-hand, of course, for videoblog.) At local events, he'd be the one streaming live from his cell phone, or explaining the merits of the new Flip point-and-shoot video camera. Garfield also helped convene the monthly Boston Media Makers gathering, now starting its fifth year of Sunday brunches at Doyle's Cafe. 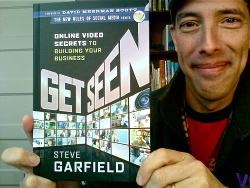 His first book is out today, a compendium of his advice on shooting compelling video for the Web: "Get Seen: Online Video Secrets to Building Your Business." The book is part of a series about "the new rules of social media" from the publisher John Wiley and Sons that is being edited by Lexington resident David Meerman Scott, who wrote the foreword for Garfield's book. Garfield, who earlier in his career was a radio producer on Eagle 93.7 and WFNX, has set up a social network for the book with lots of free material, including some fun videos he shot while researching it. Garfield will be speaking on a panel this Thursday on the future of journalism, and at the sold-out WordCamp Boston this Saturday. On February 6th, he'll be at PodCamp WesternMass, at Westfield State College. Mark Pincus of the games start-up Zynga won CEO of the year; Facebook won for best start-up/product of 2009, with Twitter the runner-up. Google's Chrome operating system was dubbed the best technical achievement of the year, with Google Wave the runner-up. There were a few Boston connections to be found in the list of nominees and winners -- but most of them will just depress you. Y Combinator was a runner-up in the "Best Angel" category (its twice-yearly start-up bootcamp is now held exclusively in Mountain View, and no longer in Cambridge.) Dropbox, a document storage and syncing service, won for "best Internet application." It was founded by MIT alums who went through the Y Combinator program in Cambridge back in 2007, but the company is now based in San Francisco. And in the "Best VC Firm" category, Greylock won (Greylock is formerly a Waltham-based firm, now headquartered in Menlo Park, with a few investing partners who still work out of the Bay State). Charles River Ventures, a Waltham firm that also operates out of Menlo Park, was a nominee in that category. What do you make of the winners and nominees? I spent the past week collecting advice on how not to get hired: what qualified candidates sometimes do that nixes their chances of landing a gig. And I got way too much good advice to cram into the column in today’s paper. So I’m collecting ten of my favorite “bonus tips” here, as well as publishing two e-mails directly from the sources: one is from the executive recruiting firm BSG Team Ventures, and the other is from the vice president of human resources at Boston-based CSN Stores. 2. Don’t look hard for someone in your network who can put in a good word for you. “Getting someone else to provide color commentary on your strengths and skills is extremely helpful, for us and for you,” says Brian Shin of Visible Measures. Using LinkedIn can supply connections you might not know about, says Kristina Shedd of Sapient. Participating in trade groups and professional organizations can help broaden your network, notes Michelle Gordon-Seemore of Children’s Hospital Boston. 3. Don’t admit to ever having encountered a challenge or problem in your work career. “If you can’t tell me about a situation where something went wrong, you usually don’t go further in the process,” says Pamela McNamara at Cambridge Consultants. 4. Make a chauvinistic or culturally insensitive remark. McNamara says it sometimes happens. 5. Accept an interview for one job, and try to negotiate yourself into something with a different title, more seniority, or a higher salary. “The impression you get is, ‘I don’t want this job, but I’d like to have that job,’” says Jeff Anderson of Quick Hit. Usually, you won’t get any job. 8. Repeat the same example of an accomplishment you’re proud of over and over. “Come to the interview with a whole bunch of different examples, from different jobs,” says Debbie Mitchell at Feeley & Driscoll. Otherwise, you'll sound like a one-trick pony. 9. Assume people know the companies you’ve worked for. “If you’ve worked for companies that aren’t household names, a little one-sentence explanation on your résumé of what the company does, or how big it is, is helpful to us,” says Christine Lahey at Liberty Mutual. 10. Spelling always matters. “We got a thank-you note recently from someone who was a candidate for a very senior position,” Lahey says. “It was full of misspellings and grammatical errors.” Despite getting points for politeness, the candidate didn’t get the job. Explaining "3 Up, 3 Down"
One of the features of this blog that I've been meaning to explain is in the upper right-hand corner there: "3 Up, 3 Down." Essentially, the idea is to spotlight three companies on the upswing, and three that have, uh, had better days. It's not intended to be mean-spirited, but rather to capture some of the travails of building great companies in New England's innovation economy. As with everything on this blog, I'm open to your suggestions for 3 Up, 3 Down, which I update sporadically. Just send a suggestion (ideally, with a link to a story or blog item) using the box in the right-hand column that says "Send an e-mail to Scott," or just click on my name where it says "About the blogger." - Heartland Robotics. iRobot co-founder Rodney Brooks has taken a leave from his prominent post at MIT to start a new venture. Heartland has been short on specifics, but Brooks seems to be developing a new generation of robots to be used as part of the manufacturing process. The company's investors include Waltham-based Charles River Ventures and Bezos Expeditions, the firm that manages investments for Amazon.com founder Jeff Bezos. - HubSpot. The Cambridge software-and-consulting company has proven itself a master at promotion and positioning: those who know about HubSpot (through its blogs, live Webcast, or the recent book written by its founders) know the company's software helps you get found on the Web and manage incoming leads. But can the company become a significant national player while ensuring that its existing customers keep renewing their subscriptions to its software? - On-Q-ity. Aims to provide doctors with new diagnostics tools to help customize the most effective treatment regimen for cancer patients. Founded by Mara Aspinall, a former Genzyme executive, and fueled with $26 million in venture capital funding, some of it from Atlas Venture in Waltham and Bessemer Venture Partners in Wellesley Hills. The results of a new hiring survey are being released this week, painting a fairly rosy picture for jobs in digital media, online marketing, and technology for 2010. - The skill sets respondents plan to hire for? Web development, creative, marketing, account services, design, and IT top the list. - 95 percent of respondents will be hiring for jobs that require a BA/BS; 81 percent are looking for folks with more advanced degrees; 77 percent will be hiring both. - 81 percent of respondents offer internships; 76 percent of them are paid. - Most popular ways to find candidates? Colleagues/networking, internships, Craigslist, word-of-mouth, and jobs boards. - 61 percent say the economy is affecting their hiring decisions, versus 71 percent in last year's survey. My Sunday Boston Globe column features advice collected from some very efficient people about writing e-mails that recipients will answer -- rather than ignore, or defer until later. There's also a sidebar: the five essential elements of an e-mail. I'm publishing some of the best "raw" advice here: e-mails sent to me in response to several questions I asked earlier this week about what people put in the subject line, how they structure messages, and how long they can be. I was also curious whether there are times of the week (or day) when you shouldn't send an e-mail. - John Maeda, president of the Rhode Island School of Design, and author of "The Laws of Simplicity." - @semilshah: Scannable subject line, 1-2 paragraphs max, ask the question up front, no unnecessary niceties, get to the point. - @cgunst: Writing good e-mails is like writing any good content. It's not about you, it's about what the recipient is interested in. - @hybernaut: after writing any email longer than 2 para, go back and write a 1 sentence summary, identifying your actionable request. with practice you will end up writing that clear request first, and realize that the rest is unnecessary. Which Mass. companies are on the World Economic Forum's "Tech Pioneers" list? Each year the World Economic Forum selects a small group of companies as "Technology Pioneers," and there are usually a few local firms in the bunch. This year, a committee of tech experts have chosen 26 companies developing products that "will have a deep impact on business and society." 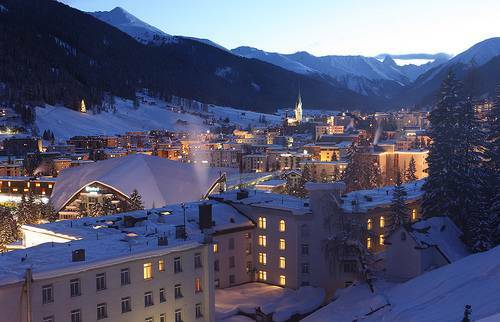 Most will get an invite to the Forum's annual gathering of CEOs, world leaders, and consciousness-raising celebrities in Davos, Switzerland next month. I caught up with MicroCHIPS chief executive and co-founder John Santini yesterday; the honor comes as his MIT spin-out marks its 10th year in business. The Friday5 is a list of five things worth knowing about, each with a Boston connection. In honor of Black Friday, today it's sites and services geared to finding great buys online. The Friday Five is a list of five things worth knowing about... and a chance for you to build on the list and make it better by posting comments. This week, it's the most influential companies in Boston's SonicTech cluster. SonicTech is my term for all things music-related: tools, games, Web sites, marketing platforms. This list was triggered by two upcoming music-related events: Music Hack Day, on Saturday and Sunday at Microsoft NERD in Cambridge (it's sold out), and a much smaller "unconference" event that Charlie McEnerney of Musicians for Music 2.0 is organizing on December 1st in Harvard Square. On Fridays, I often post a list of five things, and ask invite you to build on the list by adding more good stuff in the comments. This week, it’s the five signs that you may have Big Company Syndrome. Big Company Syndrome usually starts to emerge as soon as small businesses pass the 100-person mark, and employees usually contract it after just a few weeks on the job at a Big Company. The Friday Five is a list of five things worth knowing about... and in the comments, lots more things that you add. This week, it's five people I consider "super-connectors" in the Boston tech start-up scene. How do I define a super-connector? There are lots of people who are important and powerful in Boston, but many of them are too heads-down to be true super-connectors. Now, a caveat: most of these people won't respond to over-the-transom e-mails or LinkedIn requests. You need to meet them in the right context (sometimes via an introduction from someone else), and they need to sense that you're the real deal. I've been talking to female founders this week, preparing a column that will run on Sunday. Here are the five networking groups and resources that have been mentioned most often as helpful by the women I've interviewed. At an unconference, where many simultaneous sessions compete to lure attendees at the same time, coming up with an appealing title for your session is important. Topics are determined at the beginning of the day by the attendees, and session titles are posted to a wall that attendees look at to make their decisions about how they'll spend their time. It's an agenda crossed with a bulletin board. Yesterday was the second annual Innovation Unconference organized by the Massachusetts Technology Leadership Council, and there were some great titles on the board. These were my five favorites. Every Friday, I post a list of five things here, and invite you to build on the list by adding more in the comment section. This Friday, it's the coolest, most innovative companies in the Boston area. How was this list created? Last month, at a planning meeting for the new Innovation Open House series, we put a list of 40 or more companies on a whiteboard. (Innovation Open Houses enable a small set of students to get a "backstage pass" to interesting local businesses.) Then, a group of about 25 entrepreneurs, investors, marketing execs, students and trade association heads voted on which ones would be the coolest for students to visit. These were the top five vote getters (along with a few of the runner-ups.) The list is an interesting mix of home-grown companies and branch offices of out-of-town firms. The Friday Five is a list of five things worth knowing about. - Focused on Internet and mobile innovation, Web Innovators Group offers a chance to see demos from eight or ten fledgling start-ups; this month's event happens on September 29th. It's always held in the Grand Ballroom of Cambridge's Royal Sonesta, with lots of impromptu meetings happening before and after in the lobby bar downstairs. And the event registration page offers a nice long list of who's planning to attend. - What could be more fun than hanging out with a couple hundred chemists, genomic experts, venture capitalists, and business development execs from the local bio-pharma cluster? Biotech Tuesday is a schmooze-fest pure and simple: no agenda or speakers, just a really interesting mix of life sciences smarties from academia, start-ups, and power players like Vertex, Novartis, and Pfizer. The next two Biotech Tuesdays take place on October 13th and November 17th. - Boston Post Mortem usually features a talk by a luminary involved in game development (this past week was Duncan Watt discussing "music as an element of game design.") It happens at The Skellig in Waltham, and the well-lubricated crowd includes game designers and programmers who work in the trenches as well as a handful of more senior game industry executives and investors. - Cloud computing is an especially hot topic right now, and Silver Lining runs one of the newer gatherings in town. Their October 23rd event will focus on healthcare-related applications of cloud computing. - If you're interested on the impact of technologies like Twitter, Facebook, and Ning on marketing and communications, Social Media Breakfast Boston is a must-attend event. Speakers can include CEOs like Diane Hessan of Communispace, consultants like Justin Levy of New Marketing Labs, or executives responsible for social media at big companies like EMC. To make sure you get word of upcoming meetings, sign up for the group's e-mail list and follow organizer Bob Collins on Twitter. Kayak co-founder and CTO Paul English e-mailed earlier this week to let me know about Kayak Trends, a nifty new feature on the site that lets you know which cities are gaining in popularity as travel destinations, and which cities are losing favor. Kayak teases out the trend data based on what cities people are searching for airfares to -- and the hotels they're considering booking. Boston, interestingly, joins Vegas, L.A., London, and Orlando on the ten-most-popular destinations list for the past year. And when in Boston, Kayak says travelers are most interested in staying at the Taj Boston and the Comfort Inn & Suites at Logan -- two very different hotels. When Bostonians travel, their top three destinations are San Francisco, Washington, DC, and LA. Here's an early look at a survey that the Massachusetts Technology Leadership Council plans to release tomorrow, examining the state's videogame industry. Starting last February, the council's Digital Games cluster, headed by Jon Radoff of GamerDNA and Peter Blacklow of WorldWinner, surveyed companies around the state and came up with a conservative estimate that Massachusetts games companies generate more than $2 billion in revenue annually. (The lion's share of that, I'd guess, is attributable to Cambridge-based Harmonix Music Systems, which hit $1 billion in sales of its "Rock Band" game this past March.) The games cluster employs about 1200 people, according to the survey, and executives expect it to grow about 20 percent this year. In our fine state, fifteen colleges and universities offer programs related to (or supporting) the games industry. 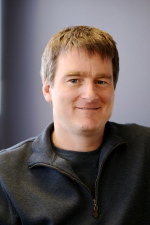 "The goal here was to capture and convey the depth, breadth, and growth potential of the digital game sector in order to attract additional talent and companies to the region," Mass TLC director Tom Hopcroft writes in an e-mail. "We are working with UMass Boston over the next 6-12 months to do more in-depth research on the sector." The council is holding a games-related panel on September 24th that will feature execs from Harmonix, ESPN Games, and QuickHit, and tomorrow night the council's monthly Tech Tuesday gathering will celebrate the games industry with a "Beatles: Rock Band" jam session at Microsoft NERD in Kendall Square. Each Friday, I put together a five-item list called the Friday Five. This week, it's tips on getting covered in my Innovation Economy column on Sundays and on this blog. Just a note of context first: my goal with both the column and blog is to tell the most interesting stories about what's new in New England — and those stories can originate from a tiny start-up firm in someone's basement, an academic lab, or a giant publicly-traded company. Dear General Mills: Why Not Put Some Smart People on Wheaties Boxes? Two things are happening this week: those of us with kids are sending them back to school, and General Mills is introducing a new variety of Wheaties cereal called Wheaties Fuel, aimed at men. What do those two things have to do with one another? Ever since the 1930s, the front of the Wheaties box has featured a parade of notable athletes, from Lou Gehrig to Jesse Owens to Mary Lou Retton to Michael Jordan. 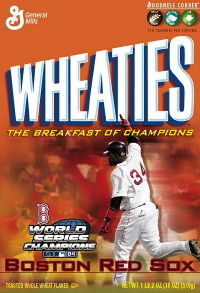 Over the decades, the Breakfast of Champions has exclusively celebrated achievement on the baseball diamond or in the stadium. But given that Wheaties sales have been slipping (they've declined 14 percent over the past year), here's what I wonder: could Wheaties as a brand be reinvigorated if those bright orange boxes started celebrating achievements of the brain, as well as the body? Would parents feel better about buying a breakfast cereal that inspired their children to become rocket scientists, disease-battling chemists, life-saving biomedical engineers, or billionaire software designers? And could we use the Internet and Twitter to persuade General Mills to give this a try? This week's Globe column is dedicated to making you a more effective user of LinkedIn -- even if you think you're already using the site well (as I did). With the help of venture capitalist Lee Hower (part of the founding team of LinkedIn), David Gowel of Clearly Creative, and Pat O'Malley of Patrick O'Malley & Associates, I collected ten tips that'll make your profile more impressive, make you easier to find, and help you get more out of it as a research/sales/job-hunting tool. Do you know about all ten? Do you have others? Every Friday, I serve up a list of five things worth knowing about -- and invite you to add more in the comments. This week, as we all take off to enjoy the last long weekend of summer, the topic is great books about business and innovation, with strong Boston connections. The topic this week is great movies about technology...all of which have interesting but little-known connections to Massachusetts people and places. Every Friday, I serve up a list of five things worth knowing about. This week, it's great museums with a focus on technology, science, and innovation around New England. After all, it's mid-August, the kids are out of school for a few more weeks, you may have out-of-town guests, you may be traveling. Why not soak up some air-conditioned learnin'? 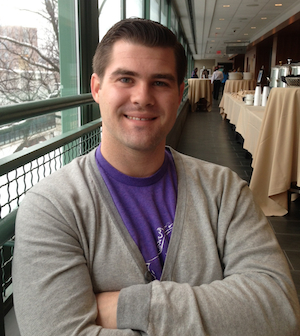 This week, it's people from the Boston innovation economy who are worth following on Twitter. The list includes people from tech and biotech, entrepreneurs, investors, and social media experts. This week, it's the most popular hang-outs for techies and entrepreneurs. Every Friday, I'll serve up a list of five things worth knowing about. This week, it's the best forecasters and futurists in the Boston area. Want to know what's next? Add these folks to your bookmarks or RSS feeds.